Persons interested in learning more about The Password Book can visit https://www.amazon.com/Password-Book-Jason-McDonald-ebook/dp/B075CCJ4PC. Those who would like to learn the back story of The Password Book should visit https://www.jasonmcdonald.org/blog/2017/09/genesis-password-book/. Bloggers and journalists who would like to know more about the book can request zero cost review copies, or reach out to Jason for interview opportunities. Working in San Francisco as an expert in SEO (Search Engine Optimization), Social Media Marketing, and AdWords, Jason experiences the technological cognoscenti on a daily basis. Residents of San Francisco, in particular, and of the San Francisco Bay Area, in general, take it for granted that “everyone” knows the basics of good Internet security. For example, the average San Franciscan not only has a smart phone but also understands what “two factor verification” is, and how to configure one’s phone to use it vis-a-vis one’s bank. This is not true, however, for the average Internet user. Many persons do not understand how to audit their bank passwords as well as the passwords of all their financial institutions and credit cards to upgrade them to, first, an easy-to-remember but hard-to-guess password, and second, to use “two factor verification.” Moreover, as explained in The Password Book, two factor verification is just part of a larger security effort. The thieves will sometimes attempt to “spoof” an innocent victim into providing the two-factor verification code by sending a text message “as if” the sender is a bank, Google, Microsoft or other vendor. 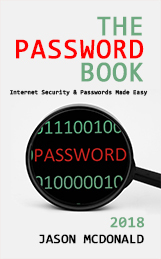 The purpose of The Password Book, therefore, is to explain Internet security in terms for the average person. As not only an expert in SEO, Social Media Marketing, and AdWords who lives and works in the San Francisco Bay Area but also a teacher, Jason McDonald is ideally positioned to write a short and simple book on how to improve Internet security. Anyone who wants to learn more, and anyone who has a mother or father, son or daughter, wife or husband or other loved one who needs better Internet security is encouraged to get the book immediately. Jason McDonald is director of The JM Internet Group, a leading online training company. 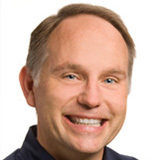 He received his Ph.D. from the University of California, Berkeley, in 1992, and now both teaches and consults to San Francisco Bay Area businesses in SEO, Social Media Marketing, and AdWords. In addition to those services, he has been recognized as an expert witness in litigation on Internet marketing. He has several popular books on Amazon on the topic of Internet marketing.